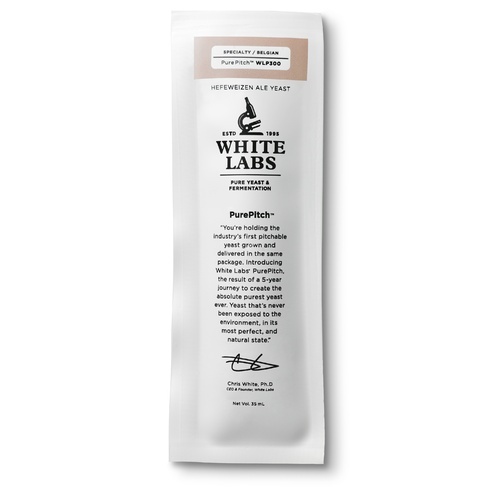 WLP590 is a unique yeast strain producing farmhouse-style beers with a phenolic “bite” and moderate ester compounds. WLP590 produces a cleaner aroma profile than other farmhouse styles, this yeast is versatile and highly attenuating. The most popular saison strain in the White Labs Tasting Room. Works well in saisons, farmhouse ales, and a range of both French and Belgian style ales as well. Very robust and good attenuation. I really like the flavor profile as well. I prefer working with this yeast over Belgian saison yeast because it attenuates more quickly and more completely. My go-to for any farmhouse ales that I have. I have even had very good results using it in higher gravity beers such as Belgian tripels. At that level of alcohol it is actually surprisingly capable of "Alagash Tripel" flavor profiles! This yeast can be manipulated to give a lot of very diverse profiles, when treated well.